New Ulm, Minnesota, is a city rich with German immigrant history, Midwestern charm, and a variety of fun and exciting things to do. A perfect day in New Ulm would go something like this: a warm cup of coffee to start the day at Lola’s before a picturesque hike through Flandrau State Park. A trip to the Minnesota Music Hall of Fame to reconnect with Minnesota music legends like Bod Dylan, Prince, and Judy Garland. 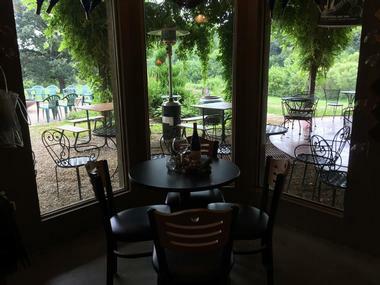 Then it’s off to Morgan Creek Vineyard’s underground tasting room for a one-of-a-kind experience, before finishing the day at Turner Hall with some rich Minnesota history, sensational food, and a live musical performance. 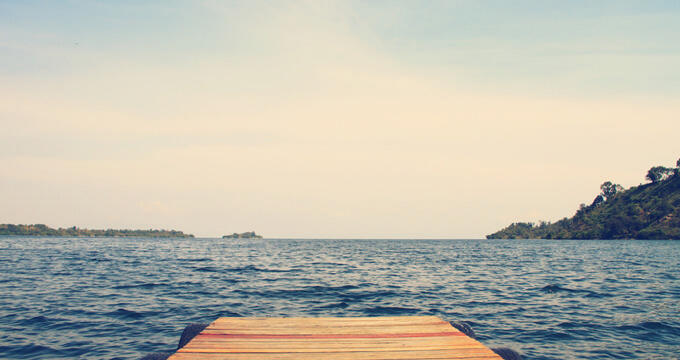 New Ulm is a happening Minnesota city, and this list of 20 things to do proves just that. 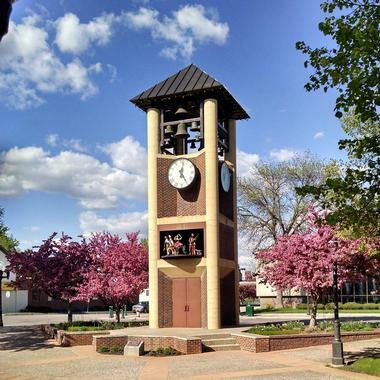 One of few free-standing carillons of this size in the world, Glockenspiel is a 45-foot tall clock and bell tower situated in the heart of downtown New Ulm, Minnesota. Chiming of the bells can be heard throughout the day, but at noon, 3:00 in the afternoon, and 5:00 in the evening, the bell tower plays programmed pieces. The tower houses 37 bells that produce an impressive weight of over two tons. During the programmed performances, a stage with twelve figurines depicting various characters from the city’s rich history rotates for onlookers to see. From late November to early January, the tower features a nativity scene below one of its clock faces. Flandrau State Park is nestled in a beautiful valley created by the winding Cottonwood River in New Ulm, Minnesota. The park’s 982 acres feature marshes, wet and dry prairie, a river, and flora that includes willow, American elm, sugar maple, bur oak, aspen trees, and Indian and big bluestem grasses. The park is an important sanctuary for local wildlife; many animal species can be seen here including white-tailed deer, gray foxes, coyotes, and beavers. 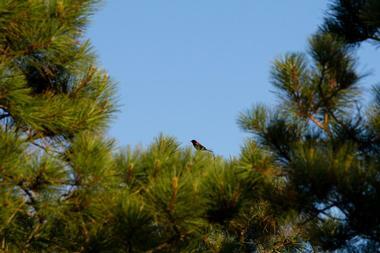 During the warmer months, the park’s eight miles of picturesque trails are perfect for walking, running, and hiking. During the winter, two miles of trail are available for snowshoeing, and six miles for cross-country skiing. 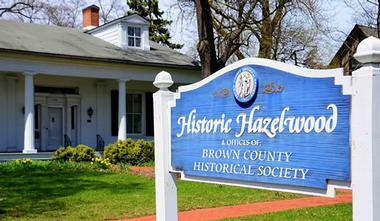 Brown County Historical Society is a museum situated along North Broadway Street in the heart of New Ulm, Minnesota. Built originally as the city’s post office in 1910, this bricked building features German Renaissance architecture and is listed on the National Register of Historic Places. Inside, visitors will find exhibits displaying the history from the Dakota War of 1862, Brown County’s Century Farms, and items from Ulm, Germany. Every year more than 7,000 people visit the research library to utilize its resources and learn about the county’s families. The museum is also equipped with a gift shop that carries many souvenir items, along with several books containing local history. Morgan Creek Vineyards is an underground winery located in the city of New Ulm, and the only one of its kind in the state of Minnesota. The winery’s underground shelter provides the ideal temperature for wine aging and production; it also creates a unique atmosphere for the gift shop and tasting room. The winery specializes in producing and growing German, American, and French-style wines and grapes, including the Minnesota cold-hardy grape. They’ve been producing award-winning wines using socially and environmentally sustainable agricultural practices since inception in 1993. The vineyard offers personalized wine tastings, a Wine Café featuring a wood-fire oven, and an exceptional Sunday brunch. 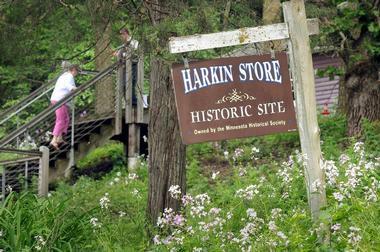 Located across the street from the shimmering Minnesota River, the Harkin Store is a history museum situated along County Road 21 in New Ulm, Minnesota. Visitors can savor the sights and smells of an old 1867 general store while examining antique wares or playing a fun game of checkers. The railroads arrived in the 1870s and bypassed the town of West Newton, which played a significant role in the downturn and eventual closure of the general store. The Harkins left much of the merchandise on the shelves when they locked the doors. When the building reopened in 1938 as a museum, visitors were able to see much of the store’s original merchandise still intact, as it remains to this day. German Park is situated along North German Street, between Third and First North Streets, in the heart of downtown New Ulm, Minnesota. During the summer months audiences spread out around the hillside to enjoy live musical performances during the park’s free concert series. The park offers a new playground complete with musical instruments, a German themed castle, and a gravity rail that is sure to provide all kinds of thrills. 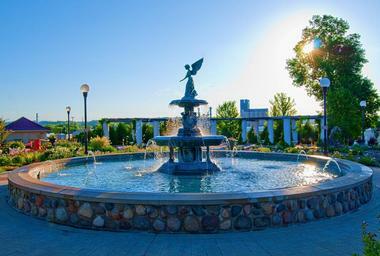 It also features a vibrant and well-manicured garden, a marvelous angel fountain, pavilion, and pergola. The park’s well-appointed grounds provide a gorgeous backdrop that is perfect for any party, reunion, wedding, or reception. Visitors will find the Minnesota Music Hall of Fame situated along North Broadway Street in the heart of New Ulm, Minnesota. The idea for the museum originated back in 1962, to honor musicians, past and present, that have significantly contributed to Minnesota’s music scene. The museum features several categories that reflect the wide range of musical heritage presented throughout the state’s history. 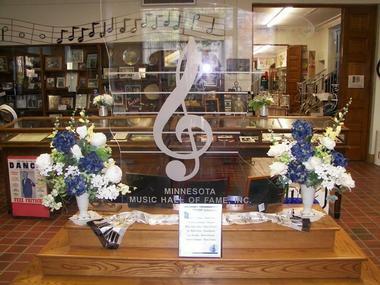 It features memorabilia of musical groups and individual musicians, along with photographs of the Hall of Fame’s inductees. Prince, Judy Garland, Whoopee John, and Bob Dylan are just a few of the great Minnesota music legends that hold a rightful spot in the Minnesota Music Hall of Fame. 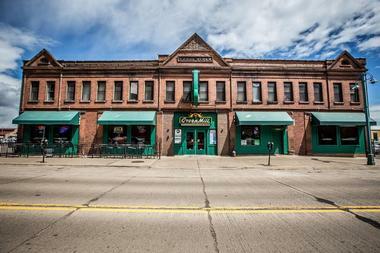 Schell’s is an established brewery popular for its German pilsners and lagers located in New Ulm, Minnesota. All it took to start this extraordinarily successful brewery was a thirsty German, a talented brewmaster, and loads of passion. 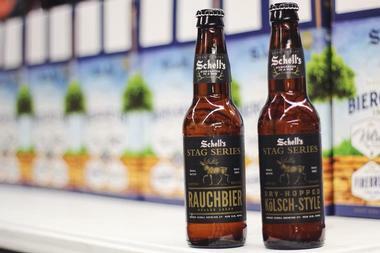 Schell’s is now the oldest family-owned brewery in Minnesota, and the second oldest in the United States. With the acquisition of Grain Belt in 2002, the brewery became the largest in the state of Minnesota. The brewery offers daily tours that start in the Museum of Brewing, where visitors can learn about the founding family’s history. From there, the tour explores the brewery itself before finishing up in the Rathskellar Tap Room for an assorted beer and root beer sampling. Hermann the German, also known as Arminius, was the leader of the Cherusci tribe – a Germanic tribe from the forests and plains of northwestern Germany. He famously led the coalition of allied Germanic tribes to victory against three of Roman’s legions in the Battle of the Teutoburg Forest, in the year of 9 AD. 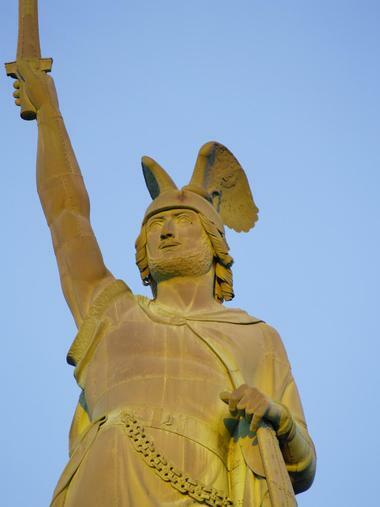 Since 1897 the iconic 32-foot-tall copper statue has brandished its Teutonic sword over the city of New Ulm. The monument features the copper statue above a beautiful, white cupola that’s supported with 10 columns, and stands 102 feet tall. This historic landmark is a must-see when visiting New Ulm, Minnesota. 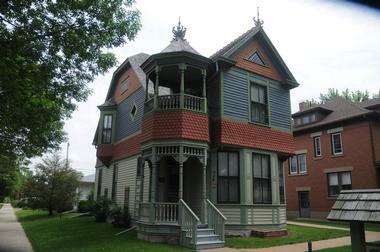 Listed on the National Register of Historic Places, the Wanda Gag House is located in the city of New Ulm, Minnesota. Built in 1893, this restored two-and-a-half story home features Queen Anne architecture, and was the childhood residence of internationally acclaimed printmaker, artist, and illustrator Wanda Hazel Gag. The house displays an incredible collection of artifacts, books, and art relating to Wanda Gag and her family’s history. Some of the pieces that can be seen include paintings, drawings, and lithographs by Wanda, as well as paintings by Flavia Gag and Anton Gag – two of Wanda’s very talented siblings. Be sure to check out the Anton Gag, Exploring a Lifetime Devoted to Art exhibit. Starkeller Brewery is a division of the August Schell Brewing Company, and is located in New Ulm, Minnesota. With the start of the Noble Star Collection, Schell needed a separate space apart from its main brewery, due to the limitations of aging sour beers. The facility is not only a space for fermenting Berliner Weisse beers, it also provides another excellent taproom space for the locals and visitors of New Ulm. 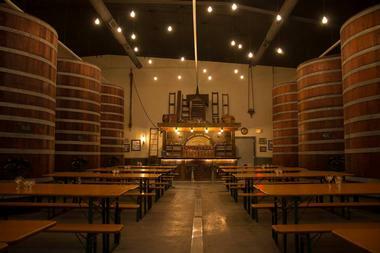 Starkeller is equipped with 1936 lagering tanks made of cypress wood that have been restored for aging the brewery’s sour beers. The taproom features 10 towering tanks, wood picnic-bench-style tables, industrial design elements, and a bar made from the brewery’s old copper kettle. 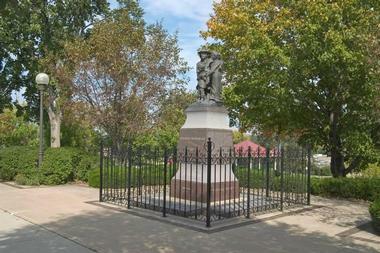 German Park in New Ulm, Minnesota is home to the German-Bohemian Immigrant Monument. A project of the German-Bohemian Heritage Society, the monument was built in 1991 to honor German-Bohemian immigrants that had the foresight and courage to make the trek to the United States. The first immigrants arrived around 1870 and settled along the town’s southern boundaries near the Minnesota River. The seven-foot-tall granite monument has a beautiful bronze statue on top of it depicting a mother, father, and child immigrant family. Visitors will also see stone pavers around the base of the granite monument representing the names of the 350 families that first settled here. The Grand Center for Arts and Culture is a hub within the Minnesota community of New Ulm for arts and cultural experiences. 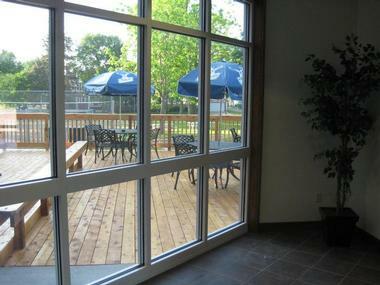 The center is housed within the old Grand Hotel building situated in the heart of New Ulm’s downtown area. 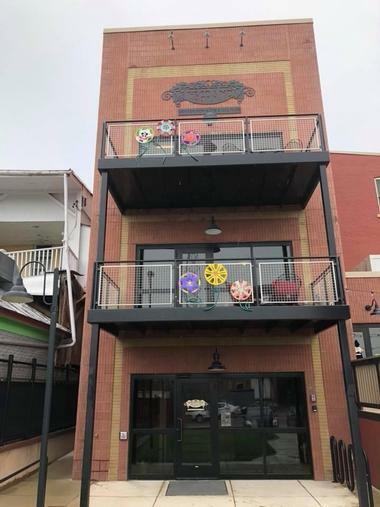 The center provides the community with private artist studio spaces, an art gallery, an arts education space, a place for music practice, and a live performance area. The Grand Kabaret is located on the 1st floor of the center, and is host to the performing arts and live entertainment program. During Friday and Saturday nights, visitors can enjoy dramatic art experiences along with original, high-quality music. 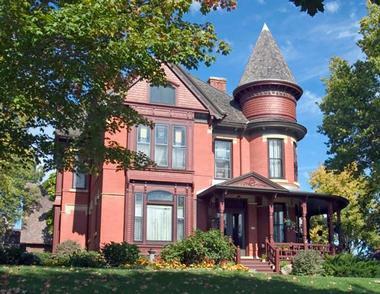 The John Lind House is the former residence of Minnesota’s 14th Governor, John Lind, and is located in the city of New Ulm. The former governor has the distinct honor of being the very first Swedish-born American to have been elected into the United States Congress. The house can be reserved for public and private events, and offers an exceptional venue space for business dinners, anniversaries, holiday parties, family gatherings, graduations, receptions, grooms dinners, showers, and weddings. The house and its surrounding grounds provide a tranquil oasis in the center of town. Visitors can travel back through time as they learn all about John Lind and the home’s history on one of the featured tours. The Doppeleichen Vineyards is situated just off of County Road 21, a couple of miles northeast of downtown New Ulm, Minnesota. The married duo of Paul Neyers and Mona Fraki are the proud owners of this Minnesota winery, and have been bottling their fine wines for the people of New Ulm for nearly seven years. The winery specializes in using different types of cold-hearty grapes acquired from the breeding program at the University of Minnesota. The grapes used for wine production include Brianna, Itasca, Marquette, La Crescent, Frontenac Gris, and Frontenac. 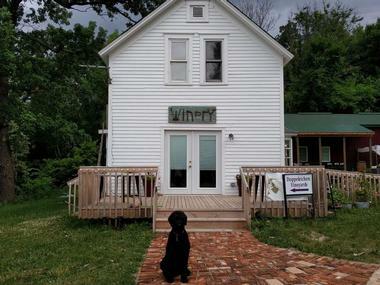 On weekends visitors can sample the vineyard’s wines in the charming, on-site, cottage-style tasting room. The Milford Monument can be found at the junction of County Road’s 29 and 11 in the charming community of New Ulm, Minnesota. 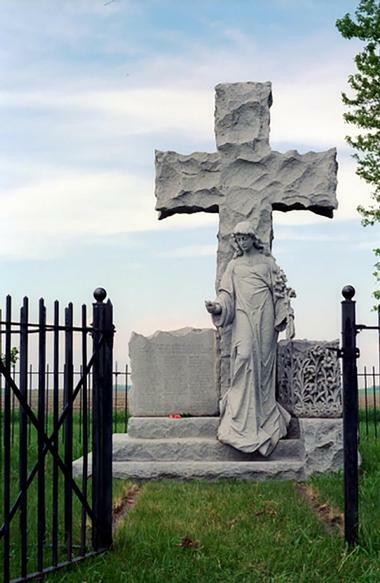 The monument was created to commemorate all 53 of the Milford Township settlers who were ambushed and killed on the 18th of August, in the U.S. – Dakota War of 1862. Milford sustained the highest number of casualties during the conflict, with most of their survivors escaping to New Ulm. The monument is a cross made out of stone with a plaque displaying the settlers’ names that lost their lives on that fateful day. Also featured is a woman figure symbolizing Mercury – the ancient Roman god of many things including travelers. 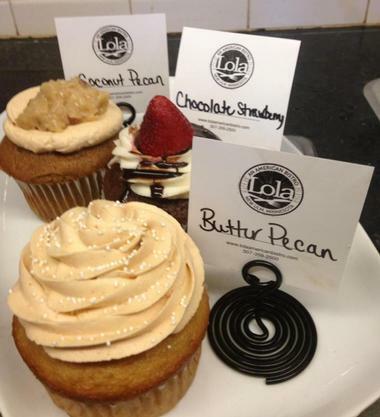 Lola – An American Bistro is a casual restaurant specializing in New American fare, located in downtown New Ulm, Minnesota. Formerly the “Larkspur Market,” Lola’s (named after one the owner’s daughters) has two quirky, fun, and extraordinarily talented women at its helm. Owners Lacey Lueth and Jordan Kuelbs have been a match made in heaven from the beginning of their partnership. When visitors enter the restaurant they’ll be greeted with big smiles, lots of laughter, and the sweet smells of Jordan’s pastries. The interior features exposed brick walls, industrial design elements, some scattered landscape art, and rustic décor. Diners will enjoy mouthwatering menu items that include the Sausage Rigatoni – made with Lola’s red sauce, roasted tomato, fennel sausage, parmesan, and fresh basil. Green Mill Restaurant & Bar is a franchise bar and eatery serving classic American fare and award-winning pizza in locations all over the upper Midwest, including New Ulm, Minnesota. After Green Mill’s owners visited the city of Chicago in 1975 and discovered deep dish pizza, they fell in love, introduced it to their restaurants, and the rest is history. Visitors will experience a warm, family-friendly environment, quality food, and exceptional service. The restaurant is equipped with a full-service bar, flat screen TVs, wood tables and chairs, mustard yellow and Portland orange walls, and colorful artwork. Try the Windy City Deep Dish Pizza – prepared with zesty tomato basil sauce, mozzarella, parmesan, sausage, spicy Italian sausage, and herbs. Lamplighter Family Sports Bar & Grill is a relaxed restaurant and bar located in the heart of downtown New Ulm, Minnesota. Getting its start in 1983, the restaurant quickly became a staple in New Ulm for locals and visitors alike. The bar and grill takes pride in using fresh produce, locally sourced ingredients, premium ground beef, and made-from-scratch sauces that include alfredo, tomato, and Lamplighter sauce. 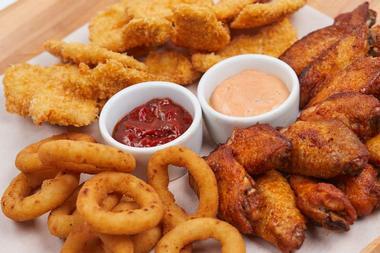 The restaurant is equipped with flat-screen TVs, a full bar, and a couple of pool tables. The staff provides a welcoming atmosphere with warm hospitality, bright smiles, and attentive service. A popular menu choice is the Fettuccini Alfredo – Italian sausage, crab, or chicken, sautéed in their famous Alfredo sauce and tossed with Fettuccini. Turner Hall is located within Turner Hall Park, is listed in the National Register of Historic Places, and has been at the center of New Ulm, Minnesota, since 1856. For more than a century and a half, locals and visitors have enjoyed a great atmosphere and quality food in Minnesota’s oldest bar. Throughout the year the hall hosts several different events that include the annual Gala, wine tasting, live music performances, and outdoor get-togethers. The interior features tile floors, mahogany wood throughout, vintage wall art, and a few restored antiques. A local favorite is the Philly Sandwich – a choice of beef or chicken on a hoagie roll with onions, peppers, mushrooms, and Swiss cheese.